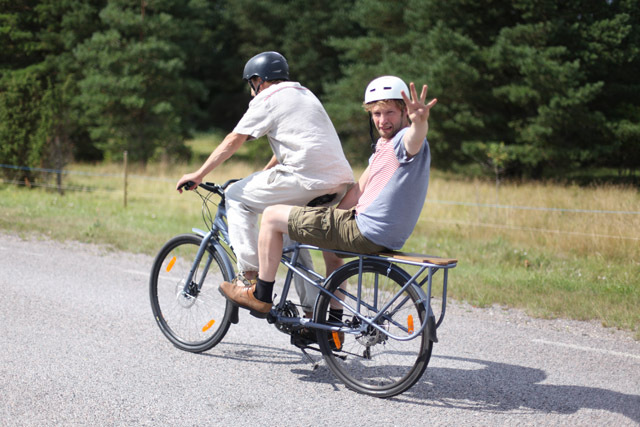 Instant tandem from any bike! 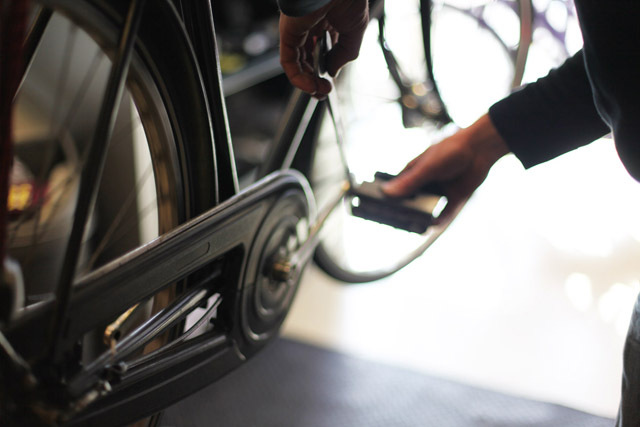 If your bicycle has a rear rack, then you probably have given your friends a lift. Nice gesture, but not too comfortable. Well, imagine that with no feeling of extra weight, no balancing problems and no problem of where your friend should put his or her feet. 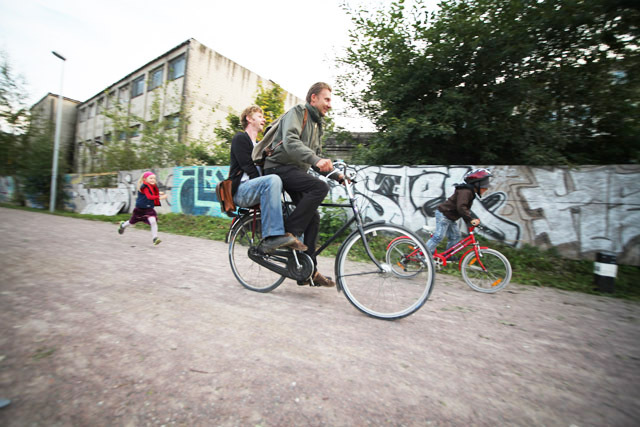 The easiest way to convert your regular bicycle into a tandem is by using a pair of special pedals. 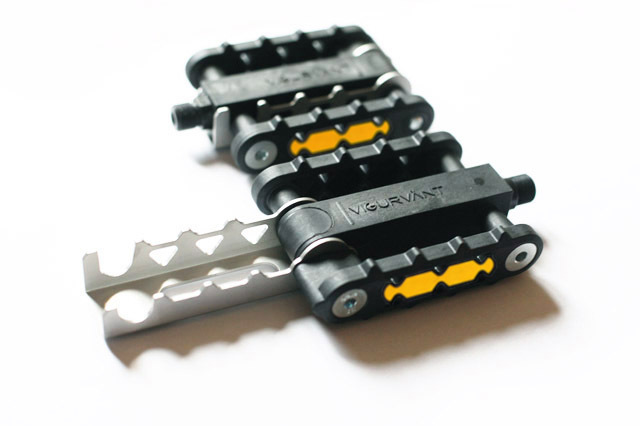 Vigurvänt pedals can be installed on any bicycle with regular 9/16-inch threaded cranks. That's almost all bicycles on the streets. And if a wrench does not scare you, then installing takes less than half an hour! Vigurvänt pedals are guaranteed to be free from manufacturing defects for one year from the original date of purchase for the original owner. This warranty does not cover damage due to wear and tear, misuse, abuse, neglect, accidents, improper assembly or repair, or anything else beyond our control. We don’t assume any responsibility for any personal injury or material loss that may be caused while using Vigurvänt pedals, whether caused by accident, negligence, misuse or otherwise. Vigurvänt pedals are designed and produced in Estonia, EU. 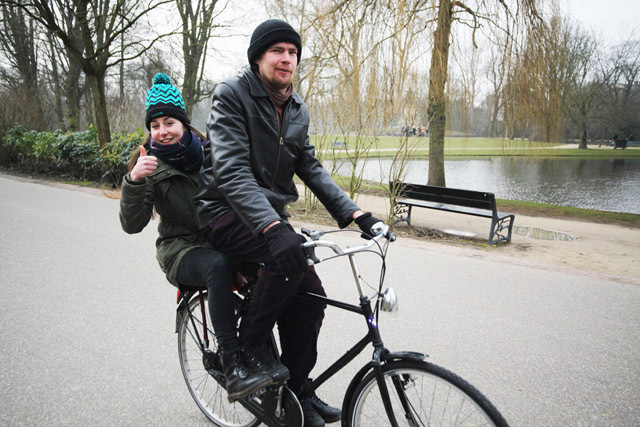 Legal status: riding on tandem without specially designed bike is currently street legal only in Netherland, but police usually accepts this easily, as long as traffic laws are obeyed and people behave. Use responsibly! What's in the box? Check out!